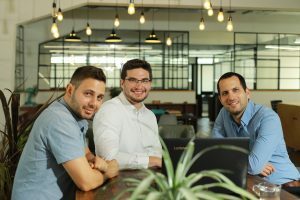 Axonius, an Israeli developer of a platform to secure and manage connected devices in use by businesses, has just announced a $4m seed funding round. 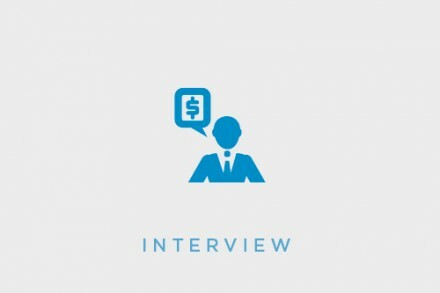 In conjunction with it, Dean Sysman, CEO and co-founder, answered our questions about the company, the product, the round of funding and future plans. FinSMEs: Hi Dean, can you tell a bit more about you? What’s your background? Dean: I have over twelve years of experience in Cybersecurity, and I’ve had the honor of being in the Forbes 30 Under 30 Israel 2017 list. Before founding Axonius, I was the CTO and co-founder of Cymmetria, A YC-backed cyber deception company with Fortune 500 customers. I’ve spoken at major conferences including Blackhat, Defcon, CCC and more. I am an alumnus of an elite unit in the Israeli Intelligence Corps, in which I served for 5 years as a team leader and intelligence officer. I’m also a graduate of the special “Etgar” program, where I earned my B.Sc in computer science at the age of 19. In 2005, I was part of the gold medal winning team in the international Robotic Olympics in South Korea. FinSMEs: How did you come up with the idea of creating Axonius? Which problem do you want to solve? Dean: We came up with the idea for Axonius when seeing the problems created by the current state of device adoption in organisations, and how it ends up being an innovation speed limit in organisations. FinSMEs: How does Axonius work? Dean: Axonius supports different device types and integrations with existing solutions. For e.g. Active Directory, Puppet, VMWare ESX, AWS and more through Axonius Adapters. Adapters will support connecting any device type and even enabling management of previously unmanageable device types like IoT devices. Adapters achieve this without needing to install any software or agents on the devices, by utilizing the APIs and interfaces on the existing solutions and the devices themselves. For example, it could connect to a puppet master server to control Linux servers, use Active Directory credentials to connect to windows laptops, the MDM solution for smartphones and even the network switches through their management ports. Other than Adapters, the other aspect of the Axonius platform is Plugins. These allow controlling the devices seen and connected through the platform. They are used to perform the actions required by the organization to secure and manage the device, regardless of what may be on it. For example, if the organisation would like to enforce a password policy across device types and environments, they could do it with the same Plugin across all connected devices, where the platform knows which solution to use on which device, i.e. Puppet on the Linux devices, using Active Directory credentials to windows machines, and using the ESX or AWS API to do so on virtual machines. Dean: Avidor, Ofri and I have been friends and co-workers for years and did a lot of our meaningful work in the army together. Avidor is the CTO at Axonius and is a world renowned cyber security expert. Starting at the age of 13, Avidor has been a staple in the Israel cyber security underground hacking scene, and by the time he was 17, was employed as a leading penetration tester, where he personally led the evaluation of the largest organizations in Israel. Following this, he was drafted into an elite cyber intelligence course and was positioned as a security researcher in the elite 8200 unit. During his service, Avidor was promoted to a team leader as an officer and won many accolades for his classified work, among them the Excellence Award of the head of unit 8200. Avidor is also a graduate of a special academic program where he is expected to receive his CS B.Sc. Ofri oversees Product and Customer Success. He is a graduate of the elite Talpiot military academy and has over 13 years of hands-on experience in the cyber security field. After graduating from Talpiot, Ofri served for 8 years as an officer in the IDF’s intelligence corps. In his last position, he was the leader of an R&D section with more than 40 engineers and researchers. During his service, Ofri received several awards, including the Chief of Staff award of excellence, the highest recognition possible for officers in his rank. Prior to founding Axonius, he was the CTO of Kayhut, a cyber security company with more than 100 employees. Ofri holds a B.Sc. in Physics and Mathematics with honors from the Hebrew University of Jerusalem. FinSMEs: You just raised a meaningful funding round. How do you plan to use the funds? Dean: We plan to use it to increase our work force, both in Tel Aviv and in New York City, and accelerate our penetration and growth in the market. FinSMEs: What can you tell us about the investors? Are they supportive? How? Dean: YL Ventures is an incredibly supportive fund and we couldn’t be more than happy to have them on as investors. They have been leveraging their active network of strategic partners, potential customers, and follow-on investors to assist us in creating our initial footprint and ongoing company growth in the US market and beyond. FinSMEs: Which are Axonius’ near and medium term future plans? Dean: We aim to work with financial and other types of organisations as part of our launch to build our network of customers and grow the Axonius platform.